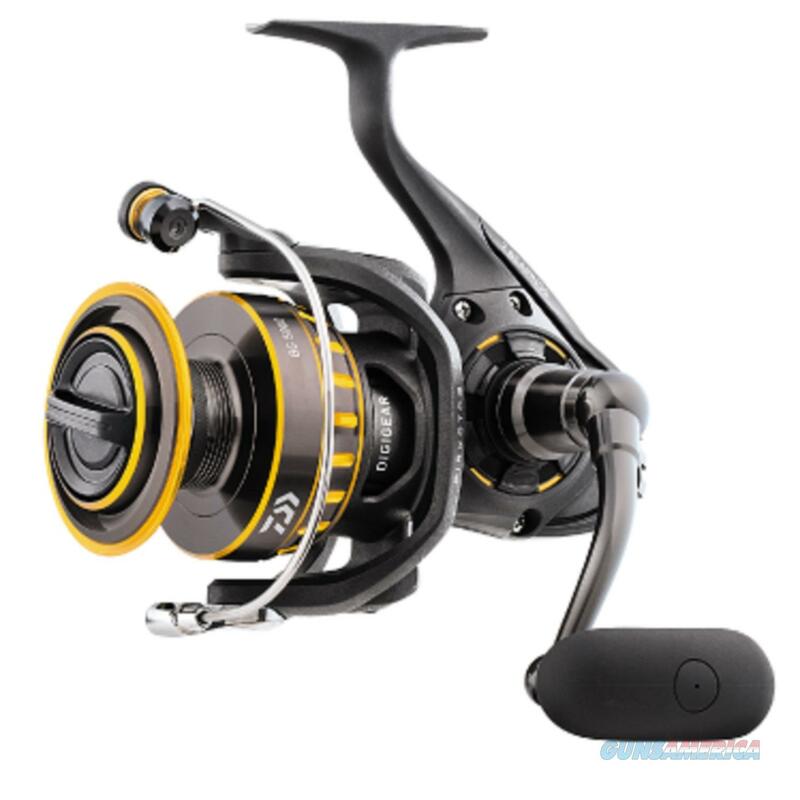 Description: The next generation of the popular BG series Spinning reel has gotten leaner and meaner. Super duty, oversized gears put the competition in the rear view mirror. Hardbodyz aluminum body and side cover provides strength in the form of corrosion and scratch resistance. Lightweight Air Rotor weighs 15 percent less than ordinary rotor designs. Its unique shape reduces unnecessary weight while distributing stress more evenly throughout the rotor for maximum strength. Dynamic Cut aluminum ABS Spool maximized core diameter and reversed taper mean 100 percent useable line. ABS causes less casting friction for longer and easier casting. Features a smooth 6 + 1 bearing system. The waterproof carbon ATD drag system allows for smooth no-stick performance when the "big one" takes a run. Braid line ready spool. Daiwa's Screw-in-handle design provides zero movement or play between the main gear and handle arm. This lack of movement offers the angler both confidence and control when rotating the handle.